Predictions for 2018: how will digital change over the next year? While the last 12 months hasn’t heralded any memorable on-the-ground breakthroughs, 2017, in my opinion, will be remembered as a year where the green shoots of tomorrow surfaced. It also was a year where the digital and marketing community recognised that big change is coming – both inside and outside the sector. For us at Redweb, it was a year of change and one that demanded exploration and experiment, rather than just experience and certainty. We gained exposure to technology that takes us into the new year with a renewed optimism. We have new things to say and deliver – useful in a marketplace that is going to get tougher and demand more. Based on such trends, I predict 2018 will be the year of programmatic takeover and a greater focus on data analysis. Here are my thoughts for what we’ll be seeing in the context of the agency’s work and the industry. Chatbots will be big in 2018 but maybe not as we have experienced them to date. While there is bound to be some high-profile branded releases, these I see as experimental or possibly even ‘bot for bot’s sake’, resulting in low ROI. They may get press but in my opinion, will be predominantly a novelty or PR exercise. Where I believe bots will make the biggest impact is alongside search on websites. The concept of on-screen chat interfaces that move us forward from contextual search to conversational search is a much more natural stepping stone than jumping straight into Messenger. We’ll see an emergence in customer service and across ecommerce, with customers able to engage on websites like they do on chat platforms. This integration is now relatively easy with plug-ins and APIs from Microsoft, Google’s Dialogflow and platforms like Chatfuel. The recent release allowing Messenger to be inserted into a site also provides the option for conversations to continue beyond the browser. Finally, which bots will be successful? The ones that are useful, have access to large volumes of ERP data and provide succinct answers. Not ones than try to be your friend. We are all using voice technology in 2017 – Google, Alexa and Siri. However, these platforms are all aggregators and, even if asking for a specific brand, they will still serve alternative options. Selection is at the discretion of the platform. The same can be said for information and other data types. 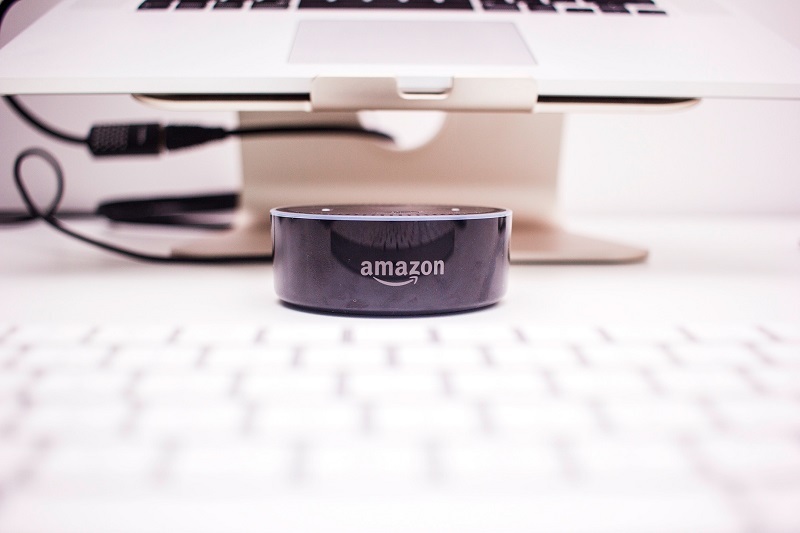 So, as we all become more relaxed with voice commands, expect to see their introduction in the underlying websites. This will not only save us typing in the search box but will allow a richer, more contextual input. If matched with quality results, it will improve overall experience – especially on mobile. Again, the technology to do this is emerging with Natural Language Processing (NLP) now a commodity on the cloud and available to use cost effectively. To date, marketers have typically aligned their audience groupings with standard classifications. These include age, income and even the newspaper they read. As machine learning is incorporated into Customer Relationship Management (CRM) and Single Customer View (SCV) software and emerging Customer Data Platforms, (CDPs), its analysis is unlikely to validate what’s gone before. It is likely to turn our understanding of audience segmentation on its head. What if age, income and newspaper is replaced by expectation of discount, time of day, design, read three articles, recommendation and/or deliver same day? Artificial intelligence provides the opportunity to merge a customer base into a single homogeneous group, one that is then influenced by many smaller, linear touchpoints. These are only recognised through big data processing. 2018 should be the year when we don’t buy ‘It’s got AI’ without question anymore. Purchasers will know the fundamentals, have a greater understanding of how it works and, importantly, know what it will achieve. Getting the basics of ML is easily achieved and fun. Better definition and procurement will mean improved usage and overall expectation, as well as maintaining investment. We’ve all been au fait with big data for a while but generally in the context of ‘It exists and we need to use it’. However, with the increasing opportunities the Internet of Things offers, this data is going to get bigger. The benefits of near-real or real-time information will become increasingly relevant for a broader range of organisations. The scope will go beyond fit-watch, cars, or the typical fridge examples. Value will be gained from customer or equipment movement to fault and monitoring sensors. In addition, businesses will tap into third party data derived from wearable devices and mobile. With this explosion of data, and the need for immediate processing, comes new challenges. The technological platforms needed to receive, store and compute will emerge, bringing a whole new level of technology into Marketing. So, for 2018 we’ll hear a lot more about Apache Kafka, Amazon Kinesis and Azure Event Hubs. Joanna didn’t make BBC’s The Apprentice final because her online clothing store (a bit like ASOS for women’s workwear) wasn’t thought through. “What will you do about all the returns?”, said one of Lord Sugar’s aids. “Get them cleaned”, said Joanna. The answer wasn’t good enough and she was history. What if she’d said “There will be minimal returns. I’ll use AI to ensure people get what they like.”? Maybe she’d have been hired. The rise of machine learning in fashion ecommerce will start to disrupt the current buy-and-try mindset. But it isn’t all about choice. With same and next-day delivery commonplace, I’d expect pressure on the returns process to also fall in line – the advantage of getting your money back quicker on a return is compelling. However, the responsibility of this efficiency falls on the retailer and hence hits margin. So, the concept of not sending items that will be returned is very compelling all-round, using machine learning for personalised recommendations, or even engines that can provide polite warnings or flag incompatibility. Predictive technology also provides the potential of concierge services at scale. Add social validation of your look through image platforms like Instagram and peer recommendation can also play a part in ensuring your satisfaction of the site or app’s selection. 2018 is going to be the year when “You may like this” becomes “You will like this”! 2018 will see our clients getting into their data. For many years, decision makers and influencers have only received insights from reports they request or via pre-configured portals. However, with an open-data mindset, Directors and Managers will increasingly request access to the datasets via API and utilise tools such as Power BI and Tableau. These analytics packages will allow manipulation and exploration in ways that up until now has been the preserve of analysts. With data being examined across a business in a decentralised way, the need to react to the findings will require implementation of continuous delivery methodologies. Blockchain I see being applicable to specific applications, rather than a general trend for marketers. Augmented reality I believe will be big in 2019, although in 2018 it will hit gaming and marketing uses within apps such as Snapchat. Quantum computing is a way off – albeit mind-blowing – and something to prepare for more in life than just your job! Serverless will be a big term in 2018 – if only as something the brave dive into. Think hosting as a utility like ‘Pay as you go’ for your phone’s 4G. Accelerated Mobile Pages (AMP), Android Instant Apps and Lazy loading are worth a search. Finally, micropayments have the potential to disrupt, but little sign of their emergence yet. Marketers in the next 12 months will discover how Machine Learning can make a real difference to their organisations in a tangible way, and we’re excited for this chapter. These are just some of my views for 2018 which I hope you’ll find useful, but I’m sure I’ve forgotten some. There’s always the risk of writing and publishing predictions, as we can look back at them in a year and we’ll all be talking about the latest emerging technology. What do you think 2018 will bring?